For rail and other transportation industries, the fourth industrial revolution promises continuing acceleration of innovation on both the supply and demand side. Digitization can enhance the railway infrastructure, maximize availability, and improve the operational efficiency of all assets. From the manufacture of rolling stock to how rail operators serve their customers, new technologies will lead to entirely new ways of doing business. Despite steady progress, the rail industry needs to continue to pursue these objectives. By embracing an integrated rail ecosystem and new cognitive technologies to acquire, associate and apply information, railways can become more efficient and effective, and can create a more responsive and agile operating environment. Now the world is entering a fourth industrial revolution, which, in the words of the World Economic Forum, will be “characterized by a fusion of technologies that is blurring the lines between the physical, digital, and biological spheres.” The rail industry is continuously deploying emerging and cutting-edge technologies. But, both passenger and freight railways must continually improve, innovate and enhance the traveler and customer experience. The digital industry will support new applications and business models for manufacturing and disrupt all phases of the supply chain. The product development process will be fully digitized, making it faster and more flexible. Railroads and their suppliers, working together, will be able to use real-time data, digital models, and virtual tooling and testing environments to reduce time and cost for the development of smarter and more sustainable trains. In addition, streaming data from a train in operation will be fed back to improve the design and build process, as well as enable better predictive maintenance. Rail can be expected to play an important role in next-generation mobility, which will be increasingly characterized by a desire for access rather than ownership, technology-enabled transparency, two-way communication, and shared consumption. For customers, getting from origin to destination is seamless. Railways offer door-to-door journeys, so they meet customers’ travel needs at each step. Railways enjoy a higher conversion rate and better revenue from sales and marketing efforts. Digitization will improve ticket changing and pricing, and make access for customers easier. Most major rail companies are pushing mobile ticketing solutions; this will be especially good for customers if simpler or best-price fare systems are introduced in countries that now have complex tariff systems. Further improvements can be expected in customer feedback management. Current processes are extremely slow, inefficient, and not customer oriented. Railways anticipate evolving customer preferences and offer assistance. They communicate with customers through their preferred channels—especially mobile devices—and deliver relevant, timely and personal marketing offers. On the freight side, products themselves will increasingly be direct users of the Internet; connected railcars and containers will provide their own streaming updates on location, condition, and itinerary. Longer term, autonomous cars, and trucks will communicate directly with dispatch centers, terminals, and even trains, ensuring their passengers and cargos are at the right place at exactly the right time. Freight railways monitor facilities, assets, systems, and shipments in real time. Network velocity, on-time delivery, customer service, labor utilization and productivity are all improved. Downtime and delays are avoided. Railways leverage their operational cost advantages and extend their services as the focal point for door-to-door transport, now enhanced by insight into their own operational performance and partnerships with supply chain providers. Digitization will appropriately align capacity with a demand that requires optimization of the existing passenger and freight rail schedules and train sets to achieve increased throughput on existing rail infrastructure. It will avoid the bottlenecks to keep operations flowing smoothly and keep costs down. Rail companies are increasing asset utilization and optimization by making significant investments in digitization, partnerships, and infrastructure to meet the capacity challenge. Companies are already beginning to see incremental benefits from this fourth revolution. 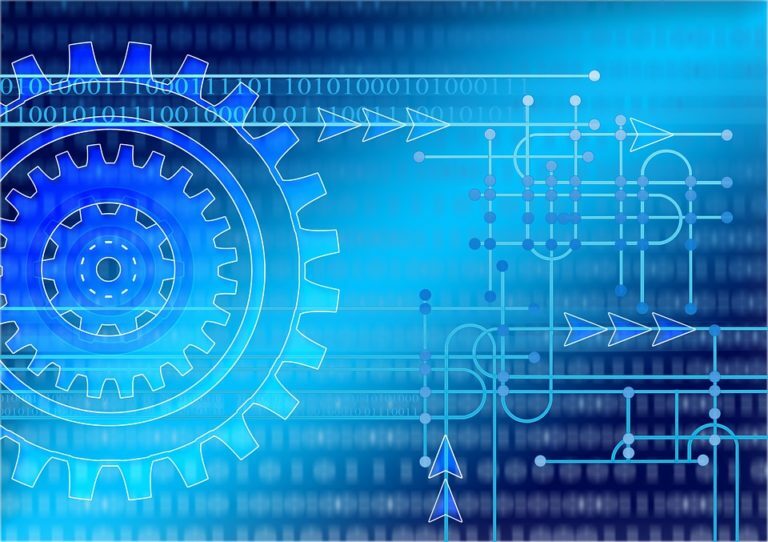 Long-term substantive benefits will be more challenging, requiring a new level of coordination between transportation suppliers and operators, and the willingness to embrace transformation that goes beyond information technology to the continuous revamping of organizational functions and activities as new game-changing innovations emerge. Ultimately, with digitization, the rules of business will be different, governed by a paradigm of being shareable, accessible, reliable, and able to perform at marginal cost. Companies will need to be both integrated and decentralized, and engage both their suppliers and customers more broadly and deeply. Technology is enabling new entrants and competitors to quickly create value, threatening the traditional rail model. Rail executives should strive to develop an interconnected rail ecosystem by embracing disruption. Deploying cognitive technologies will enable railways to become more efficient and effective, and will allow them to operate with more responsiveness and agility. Railroads have a long history as networked businesses; the fourth industrial revolution will extend those networks in ways that we are only beginning to comprehend. 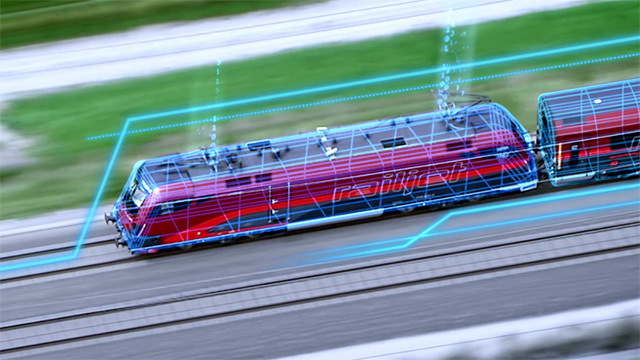 As the rail industry embraces connectedness and cognitive technologies, this investment will accelerate new railway intelligence, enabling enhanced industry-wide knowledge and business model innovation. 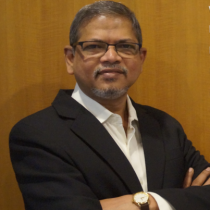 Pranav’s focus areas at ARC include Industrial Internet of Things (IIoT), Transportation (Railways, Marine, Aviation), Smart Technology, and Asset Performance Management. Pranav joined ARC after graduating with an MBA Marketing degree in June 2017. Prior to ARC, he worked for three years as a technical marketing engineer at Forbes Marshall in Pune, India. He was responsible for product marketing of condition monitoring systems, and his target industries were oil and gas, power, defense, and transportation. At Forbes Marshall, he conducted market research and competitive analysis to identify potential markets and effectively used value-based pricing strategies for market penetration. Should telecom operators close down their stores? you also have to inclide IIoT in digitization of railways – GE’s latest locomotive has more than 250 sensors that measure 150,000 data points per minute giving location, weight, speed, fuel burn etc. for trip optimization, remote diagnostics, and yard planning.